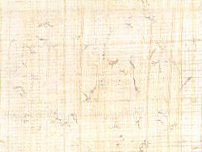 Most biblical scholars today believe that Mark is the oldest surviving Gospel, and that the author of Matthew used Mark's text as one of his written sources (see the Synoptic Problem). Moreover, if one compares Matthew with Mark, one easily notices that most of the material that Matthew added (i.e., stories and sayings not found in Mark) is contained in five major sermons or discourses. This structure was not invented by modern scholars, but is indicated by the Evangelist himself, who at the end of each of these five discourses writes, "When Jesus had finished saying these things..." (or something very similar; see 7:28, 11:1, 13:53, 19:1, and 26:1). The following tables compare the content of these five Matthean Discourses with similar material in Mark and/or Luke. (click here for an explanation of the Highlighting Colors used below). Note: Some of this material comes from Mark (but expanded in Matthew), some from Matthew's own source(s), but most of it from the "Q" source. Note: Some of this material comes from Mark (again expanded in Matthew), but most of it from the "Q" source. Note: The first half of this chapter comes mostly from Mark, while the second half is mostly from Matthew's own source(s). Note: This chapter begins with Markan material, but most of the material comes from the Q-source or from Matthew's own source(s). Note: Matthew 24 is very similar to Mark 13, but most of Matt 23 and 25 comes from the Q-source and from Matthew's own source(s).